At this point, if Dan Aykroyd has anything to say about Ghostbusters III, I tend to take it with a grain of salt. Last week, Aykroyd said that the movie had replaced Bad Teacher scribes, Lee Eisenberg and Gene Stupnitsky, with “a new writing staff.” Here’s the grain of truth: Ghostbusters III does have a new writer, but not a staff. According to Variety, Sony has brought in Men in Black 3 screenwriter Etan Cohen to rewrite the script. Cohen received sole writing credit on MIB 3, which has grossed more than $600 million worldwide, even though his script wasn’t completely finished when filming began, and it was passed off to other writers (namely Jeff Nathanson and then David Koepp) during production. Variety doesn’t say if this will be a page-one re-write, and there’s still the question of the sequel’s biggest sticking point: Bill Murray. Aykroyd said that they’re moving forward without Murray, but that may not be palatable to the studio or to the fans. 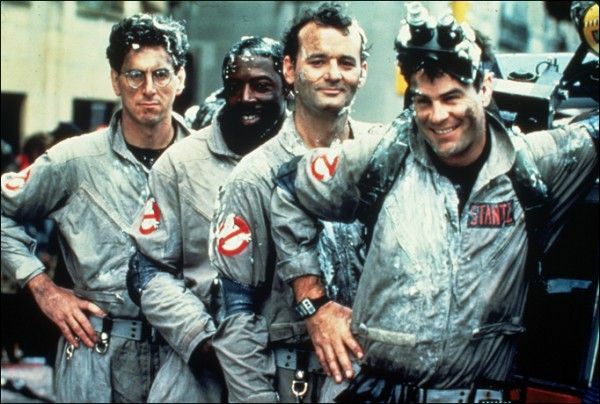 According to Variety, it still looks like the plot will revolve around the original Ghostbusters (Aykroyd, Murray, Ivan Reitman, and Ernie Hudson) passing the torch to a new generation. I don’t know if attaching Cohen will bring the one to start pulling Ghostbusters III out of development hell, but Sony’s hiring of a new writer at least shows that the studio is still committed to reviving the lucrative franchise.